Spring Fever Giveaway 2011: SURPRISE! 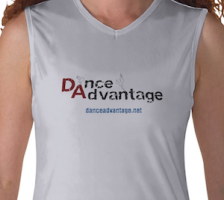 Our final giveaway comes from… Dance Advantage w/ a little help from a friend. Two readers will win a copy of The Dancer’s Way by Linda H. Hamilton (a comprehensive dancer’s companion); Richard Maddock’s As Creation Unfolds: Part Three (an instrumental album for relaxation or choreography), and a micro-fiber sleeveless t-shirt featuring the DA logo (great for class). A third, grand prize winner will get all this plus a pair of the popular MUK LUKs to keep the feet and ankles warm between classes. Today’s giveaway is sponsored by Dance in a Box. Dance in a Box provides tools for teachers to aid in teaching hip hop and rhythm to kids age 3-12, including interactive choreography kits and learning music. 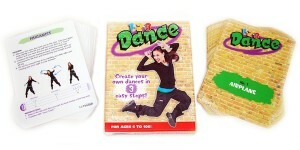 Creator, Tricia Gomez is giving away her new 1-2-3 Dance interactive hip hop choreography kit, containing 50 mix-and-match hip hop step cards and much more, to two DA readers. Today’s giveaway comes from Dance Dot. 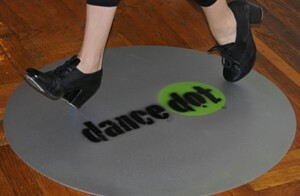 Dance Dot is an individually handcrafted, portable practice floor featuring a fun, lightweight, personalized design, perfect for tap dance students of all ages that want to Keep Dancing! Dance Dot owners, Jackie and Codey would like to give away a Medium Dance Dot to TWO Dance Advantage readers. abc for dance creates teaching tools, curriculum and specialty manuals for dance educators and dancers. 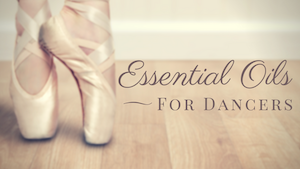 The not-yet-released Pre-pointe Dance Curriculum includes both a manual (pdf format allowing teachers to print what they need) that covers the reasoning behind pre-pointe work, screening for readiness, educational materials for parents, in depth descriptions of all exercises, sample lesson plans and video clips of the exercises, AND exercise cards with each exercise printed on heavy cardstock to be taken into the classroom for easy reference.